Home » Marching to a New Beat! Marching to a New Beat! 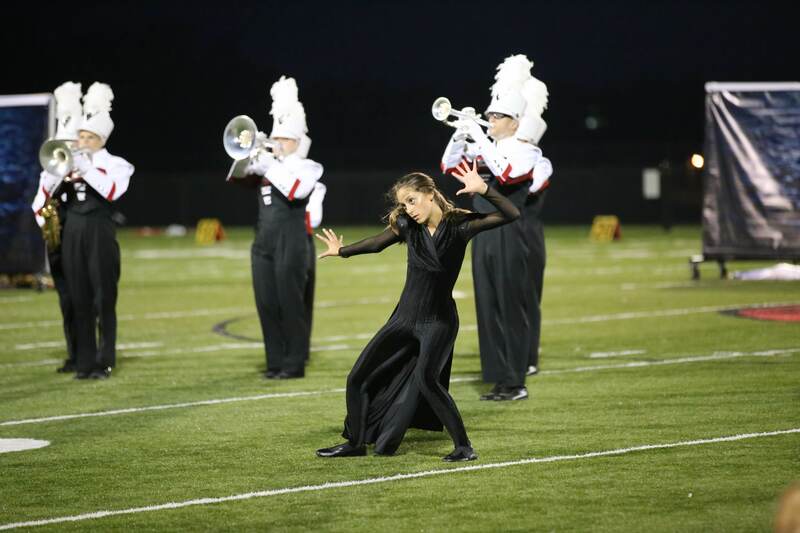 Colorguard member Tierney Schramski strikes a “demonic” pose as the new 2018 Cumberland High School Marching Band Show was performed at half-time for visitors to Friday night's football game against Northwestern. The show, entitled “Divine Comedy,” is based on music inspired by Dante’s Inferno. 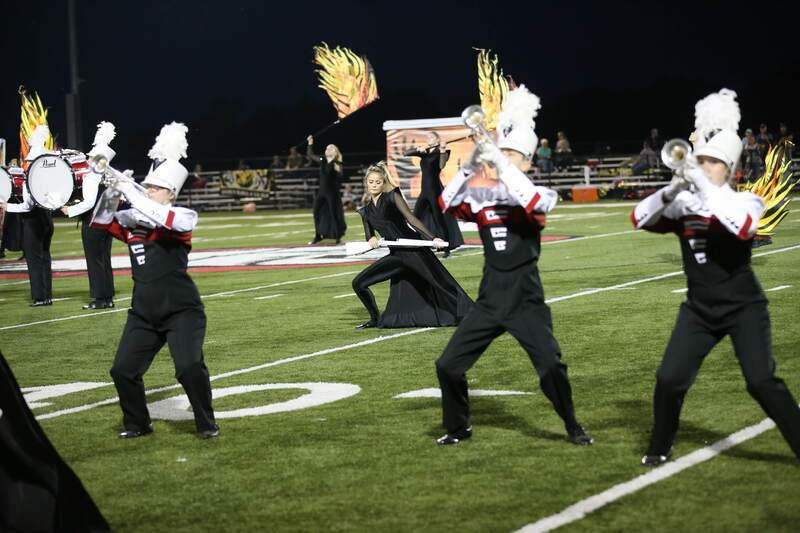 The Band competes at their first field show of the season this Saturday night (September 8th) at Eastview High School in Apple Valley, MN.